Killer Burger – 1/2 lb. 1. Killer Burger – 8.35% 222 votes. KB offers a “roll your own – your own way for $8.45. It’s 1/3rd pound, 100% and includes bacon. Personally, I’m not a fan of bacon on a burger, but I seem to be in the minority on this one. The price includes fries. 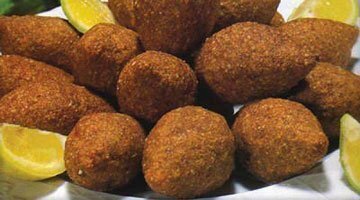 Took me three washings to get the grease out of my shirt after I ate one of these in a car. Not complaining; I’d been drinking (was not driving), and was trying it as a hangover preventative. 2. Little Bird Bistro – 5.44%. One of the James Beard award-winning chef Gabriel Rucker’s restaurants. The burger has goat cheese, pickles, onions and fries, and is $12. Note that you can get it with seared foie gras for only $32. I used to combine the votes for LB and Le Pigeon, but didn’t this year since they are now a bit different. “Little Big Burgers are made with a 1/4 lb. 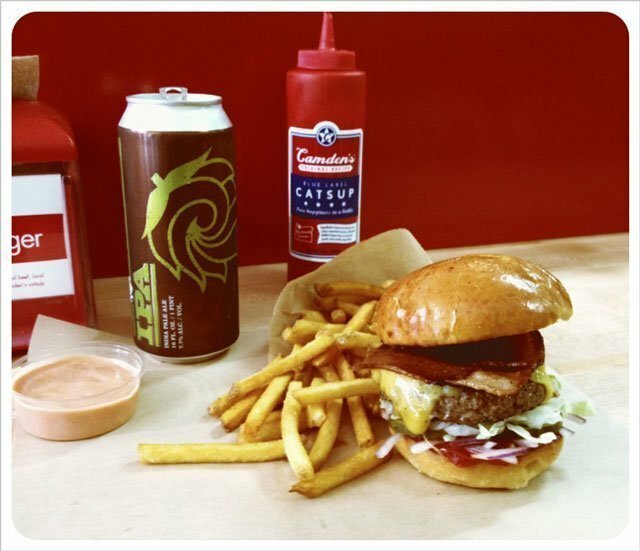 of cascade natural beef, brioche buns, local cheeses, fresh veggies and camden’s catsup! everything is delivered fresh daily, and cooked to order in an open kitchen. please note that all burgers are cooked to traditional medium unless otherwise requested.” My go to spot when I want something simple that kills my burger craving – try it with the chèvre cheese and get some of the truffle fries – it’s a huge bag full. Oh, and the house made catsup and aioli are a must. $4.25 for a 1/4 lb. cheeseburger. The standard cheeseburger which offers a plethora of toppings is $6.69. It’s also huge. So is an order of fries. More than I can eat, and I’m good at this, so bring a friend and split an order. Good option if you find yourself near one. Very casual, toss your peanut shells on the floor kind of place. You can order online and have it ready when you arrive. Cheeseburger with fries $15. Best in town in my opinion, and they’ll do it medium rare. I remember when it was $11 with fries, and people considered that an outrageous price. How times change. 7. Slow Bar/Slow Burger – 3.99% of the vote. 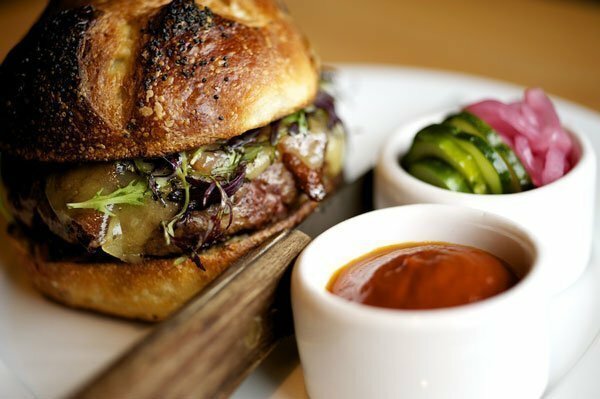 Many people are familiar with Slow Bar, which spawned Slow Burger. “Painted Hills natural beef, Gruyere, onion rings, pickle relish, butter lettuce and aioli on a Grand Central brioche bun.” $9 for an 8oz. cheeseburger – 6 and 3oz available. Lots of options. $11 at Slow Bar. & house-made ketchup” – $12. Note that it is only available in the bar. It has lots of fans. You wouldn’t expect to find a burger this good at this Japanese spot in NE. – 2.91%. 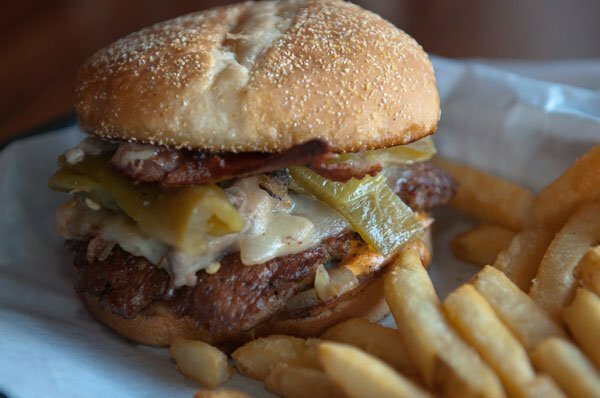 You can have this baby for $15, or $9 during happy-hour. It is 1/2 lb Wagyu beef, chevere, spicy mayonnaise, spicy catchup and truffled shoestring potatoes. Just calling to get to details made my mouth water. The happy hour is 5-6pm daily, with a late happy hour on Friday and Saturday from 10 pm – 11 pm. 2012: Little Big Burger, Foster Burger, Cafe Castagna, Killer Burger, Gruner, Toro Bravo, Le Pigeon, Little Bird, Slow Bar, Yakuza, etc. 2011: Cafe Castagna, Gruner, Foster Burger, Tasty N Sons. 2010: Cafe Castagna, Slow Bar, Carafe. A simple burger at Little Big Burger is perfect! I love that it’s not too big. I also like the “Girlie” burgers at Killer Burgers, although I go back and forth on the name choice. Biwa – I never seem to actually get to eat it. Perhaps the elusiveness helps. Ecliptic Brewing – Cant remember if there were fries, just stuffing the burger in my mouth. Little Big Burger – Free range beef; choose your cheese, truffle fries? That’s so damn Portland. You can see the other 2015 survey winners here. The list will grow as I write the posts. Category: Best of Portland 2015. Related posts about 5 Guys Burgers and Fries, Cafe Castagna, Gruner Restaurant, Higgins Restaurant, Killer Burger, Lardo Restaurant, Little Big Burger, Little Bird Restaurant, Slow Bar, Slow Burger, Yakuza Restaurant. I agree (and think I wrote them in); All-Way is really great. Excellent onion rings and fries, too. Hopefully they’ll be up on the list next year. I think All-Way is just too new, and folks haven’t had a chance to check them out. I’m looking forward to giving them a try. Inside information: The “Girlie” size at Killer Burger is named in honor of the owner’s grand daughter. She’s in love with having her nick-name on the menu. Several other burgers are named in honor of loved ones as well. Jim Dandy’s on Sandy has a great pastrami burger. Just had the cheeseburger at Trifecta a few weeks ago, and it is outstanding. I’ve eaten everything on this list except the Lardo burger and Killer Burger, and I would take the Trifecta cheeseburger over any of them. Thanks Dan, I’ll give it a try. This cake looks beautiful! Love the pictures!